Season’s greetings to you all, let’s celebrate with this roaring fire! Spotted in the graffiti tunnel that runs under Waterloo Station. Hey look, the street art at Queens Park station has changed hands again! This one is by @georgieartist and it’s lovely. To see the previous instalment click here. …although it turns out that making interesting words is quite difficult when you’ve run out of K, S, and H tiles. The first book was soon underway and ended up being fairly hefty as it needed a double thickness of board to make the tiles sit flush in the cover. I then used green bookcloth to give the cover a simple finish. I’ll be adding this to my Etsy shop later this week, and there will be more NSFW books coming in the new year. My studio is often a chaotic place (tidiness doesn’t come naturally to me) so it’s not unusual for me to mislay things only to find them months later. 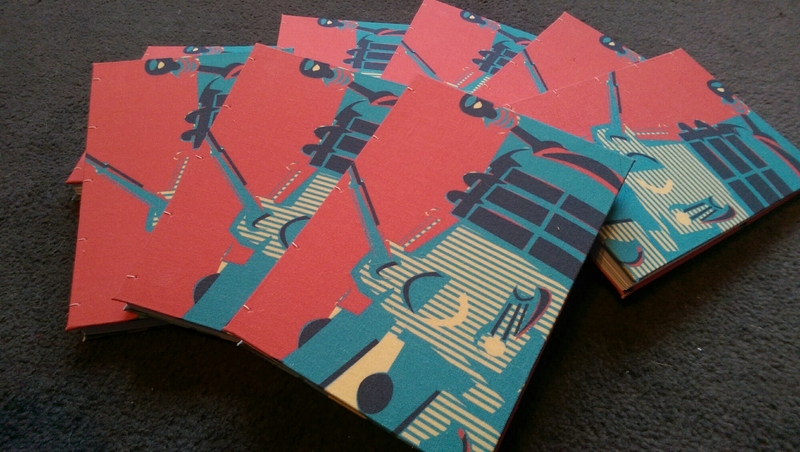 I recently rediscovered a whole stash of dalek notebook covers which I’d totally forgotten about – quite a joyful find! They’ve now been bound into books and are available in my Etsy shop. Click here to go directly to them. 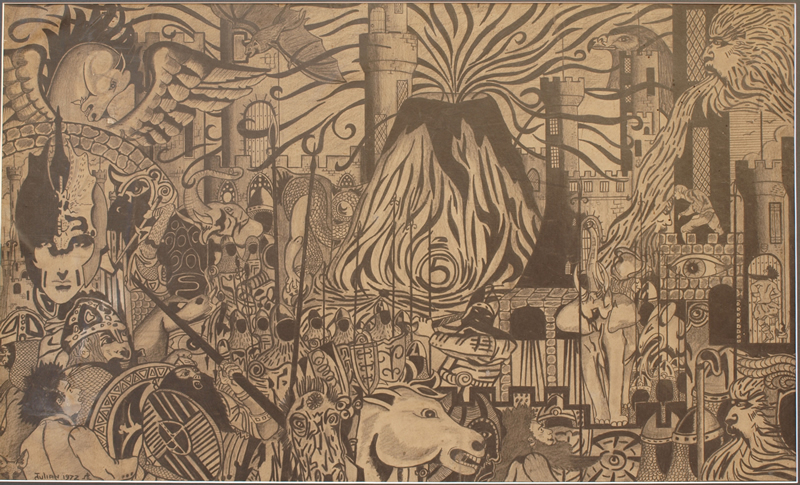 Back in February I did a street art blog post about Sarm Studios. I was passing the site again a few weeks ago and found that the hoardings are now home to a piece by CodeFC.